I weighed today and I am 8 pounds away from my first huge goal, 50 lbs lost!! I have also lost 17 inches overall! I have made major changes in my diet in the last two weeks and I am increasing my physical activity. I had to have a pain block in my back one week ago due to a fall in my home 5 weeks ago. This has prevented me from doing most of my exercise I love but I am slowly moving again. I am looking forward to resuming full exercise in 2 weeks. My diet changes have consisted of adding more whole grain, fish and fruit to my diet. Oatmeal is now my staple breakfast and IF I eat bread it is a whole grain bread instead of wheat. I have also added granola bars as my staple snack. Now, for dinner most nights, my meats consist of lean protein, lots of fish and one night a week, steak. My fruits consist of grapes, apples, pineapple, strawberries, and bananas. As far as vegetables, I try to eat them mostly steamed. I have found that the different varieties of flash frozen steam-in bags at the grocery store work very well for me considering the long hours I work. I was speaking with someone yesterday at work, and they asked me what as been the most challenging of all through this journey, and I told them adjusting to a lifestyle change. That is truly what you have to learn to do, if you successfully want to lose weight, is make a lifestyle change. Eating right and exercise become part of your daily routine. I no longer eat the way I used to. I no longer eat fried foods, I don’t crave sweets like I used to, and I drink tons of water. If you are contemplating a weight loss journey, you have to mentally ready to accept that your life has to change. You also have to take it one day at a time. Nothing worth doing is ever easy. This has been hard and there are days I just want to splurge and eat whatever I want, and then I look at the app on my phone and see that BIG number that I have lost, and I quickly change my mind, that is power! So, finding a way to stay motivated is important, and my app on my phone does that for me. As well, I have an amazing diet support group that keeps me motivated. I also added the weight loss ticker here on my blog to keep me honest and accountable. 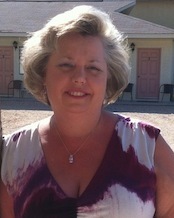 I am looking forward to my next goal, 100 lbs lost which I hope to hit by the end of the year! I will keep you posted on my progress. If you are on a weight loss journey, good luck and maybe we can keep each other motivated! This entry was posted in General, Weight Loss and tagged diet, fitness, goals, journey, lifestyle, weight loss.